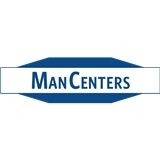 ManCenters, PA (Pearland) - Book Appointment Online! Over the last years the Male Reproductive Clinic,PA has provided infertility care, sexual dysfunction care, prostate care, vasectomies and general urology care to thousands on patients over the world. Dr. Russel Williams,MD is a board certified urologist with advanced training in male infertility and microsurgery. Our services are directed towards the couple just starting to conceive naturally to the couple who have undergone advanced fertility care needing a second opinion. Multiple languages are spoken by the staff of the Male Reproductive Clinic,PA to accommodate our international patients.